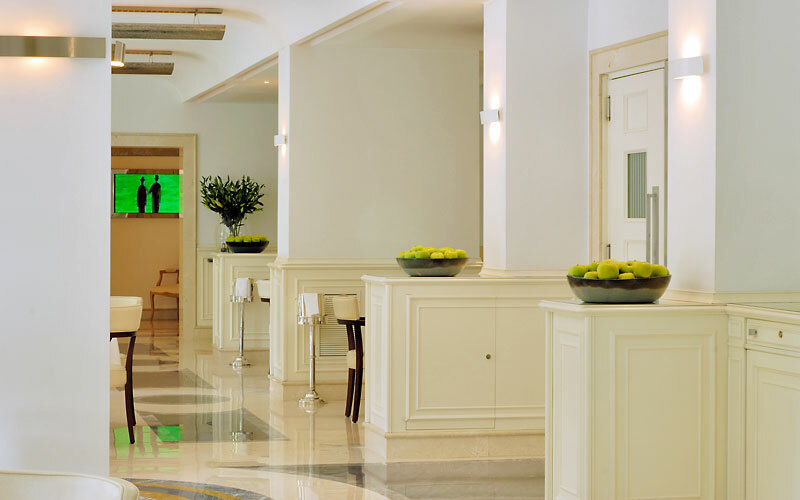 The Aldrovandi Palace Hotel is situated in what is, arguably, the most exclusive area of historic Rome, between the Villa Borghese Gardens and the Borghese Gallery and within easy proximity of the Spanish Steps and Via Veneto. 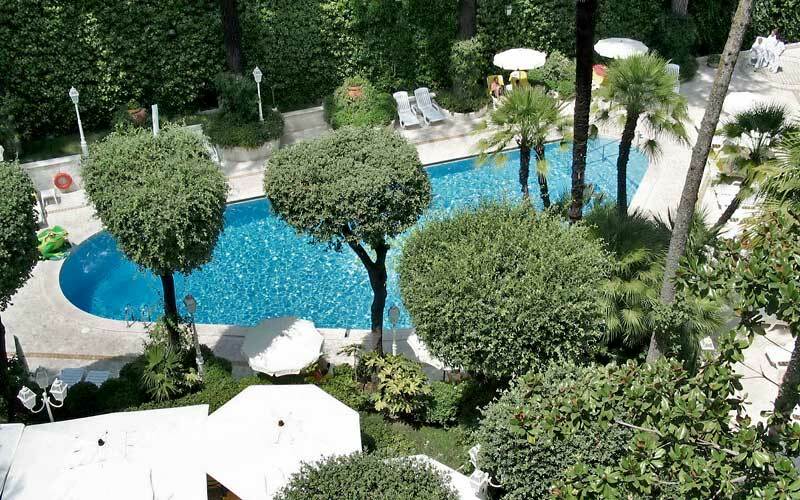 This graceful 19th century residence, now a privately managed grand hotel, is surrounded in beautiful subtropical gardens where one of central Rome's very few swimming pools can be found. 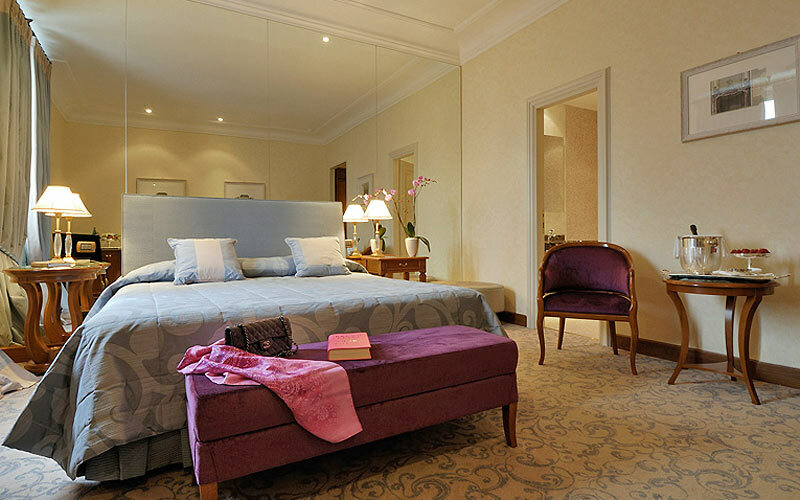 The Aldrovandi Palace has a total of guest bedrooms and suites all individually furnished in accordance with the original 19th century splendour of the hotel building, featuring authentic pieces of antique furniture and only the most luxurious of fabrics. 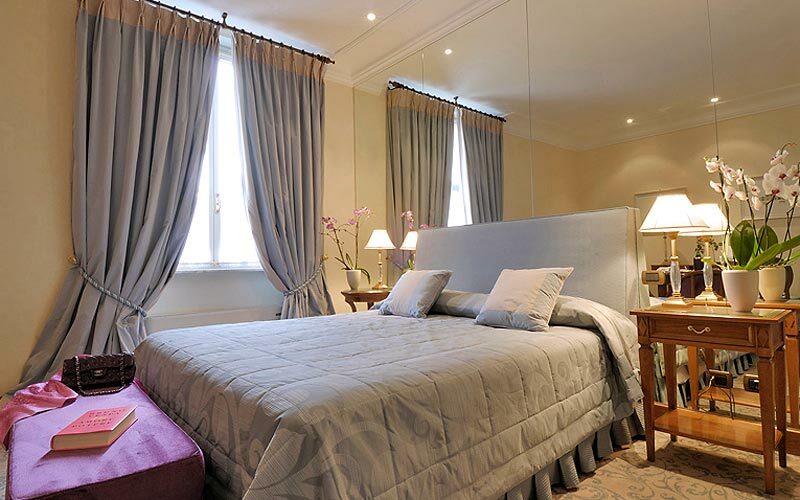 The rooms afford delightful views of either the hotel gardens, the Villa Borghese Park, or the attractive centuries-old town houses which distinguish the neighbourhood. The hotel's stylish "Baby" restaurant offers guests the opportunity to taste the fabulous cuisine of the world famous Italian chef, Alfonso Iaccarino, whose creative Mediterranean cooking resulted in his 1890 restaurant in Sorrento winning numerous awards including two prestigious Michelin stars. 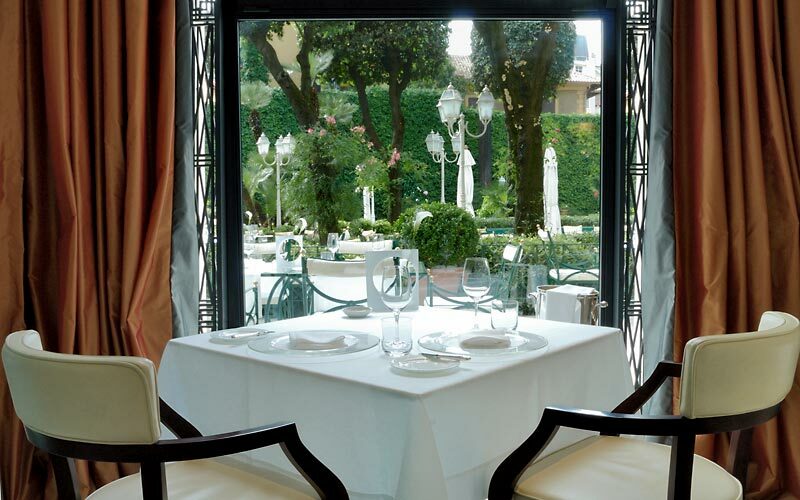 The restaurant is located in light-filled rooms with large windows overlooking the pool and gardens. 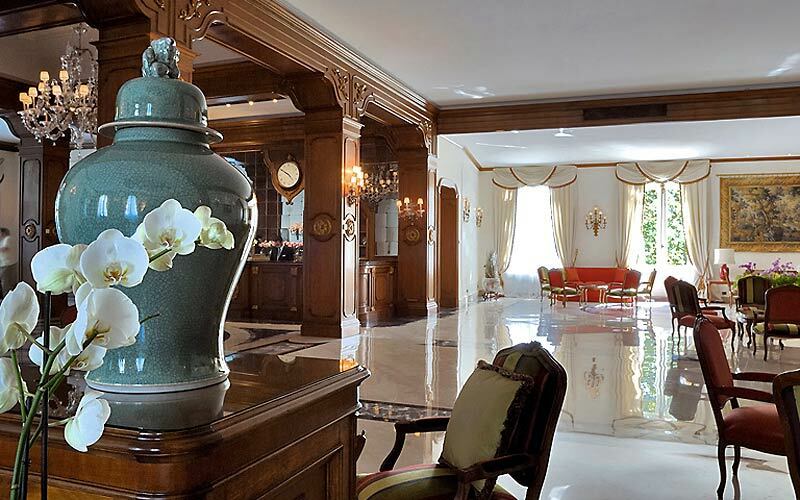 The hotel boasts eight magnificent conference and banquet halls for 10 to 300 people, making the Aldrovandi Palace a favourite venue for the most important business and social events in Rome. The largest of the hotel's function rooms, the Sala Cabrini, has provided the elegant setting for an infinite number of high profile weddings, press conferences and fashion shows held in Italy's capital city. 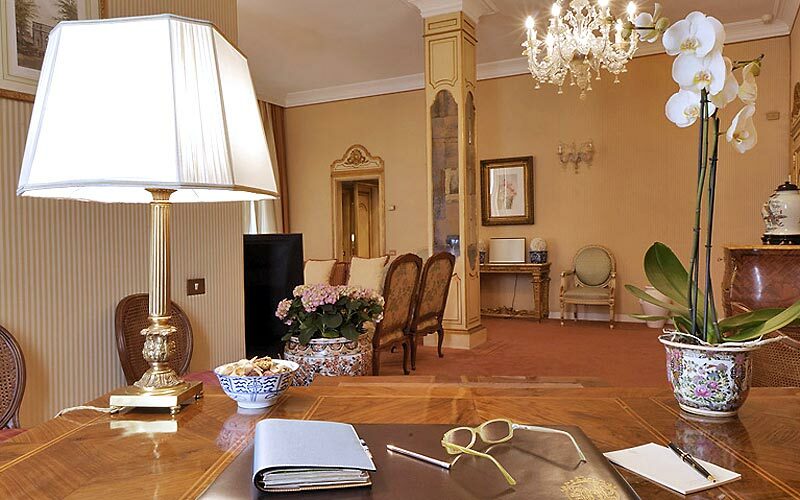 The banqueting services of the Aldrovandi Palace Hotel are, without doubt, some of the finest in Rome. 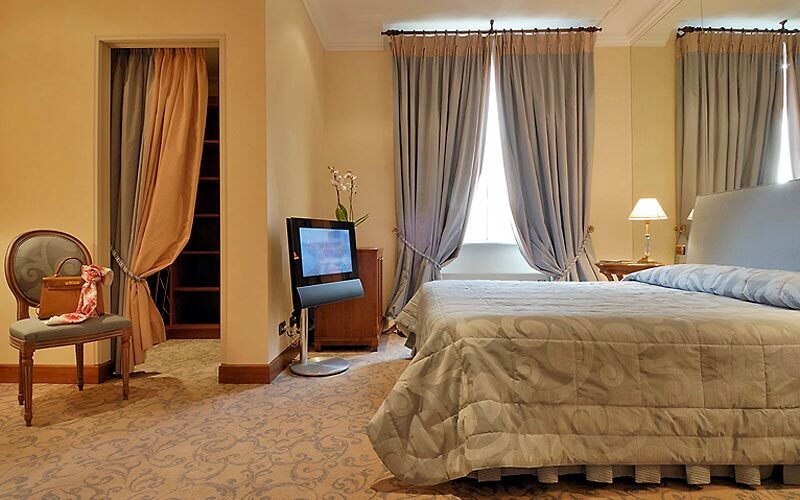 The Hotel Aldravandi Palace is located in a residential area in the centre of Rome between Villa Giulia and the Galleria Borghese. A few steps from the structure is possible to visit: the National Gallery of Modern Art, the Museum and Galleria Borghese and the National Museum of Villa Giulia. 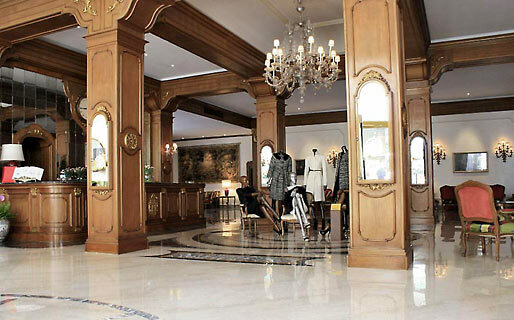 For shopper's hand Aldravandi Hotel Palace is near Via Veneto and the famous Piazza di Spagna.